From 2015 onwards, pictures and stories of migrants and refugees, who had set off on perilous journeys to reach Europe, flooded the news media around the world. Many journalists felt compelled to go beyond mere statistics and stereotypes, trying their hand at a different kind of storytelling. This is the case of the winner of Prix Italia’s TV Documentary category and recipient of the award from the President of the Republic Jury, “Exodus”, produced by the BBC. An entire year was needed to make this special documentary, where not only the filmmakers followed refugees along the route, but also the refugees themselves got to film several moments of their dangerous journey, incidents more often than not unseen by reporters. According to the jury, this film “is essential now and for the future”. We asked director James Bluemel to explain to us the work behind this innovative documentary. We had been following the news like everyone else, seeing images flitting across our screens of all these people coming from Africa and drowning in huge numbers in the Mediterranean. 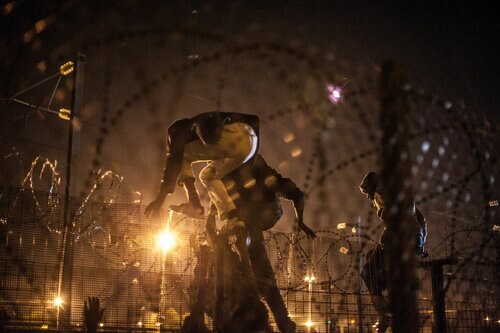 At the same time, a photographer friend went to Morocco, where migrants were trying to get through to Spain. There he collected some footage that they had shot themselves. That is when we thought that the combination of us filming and them shooting would make a highly interesting documentary. With the Syrian exodus, we followed this same scheme. What have been the challenges in putting together something like this? It was an organizational nightmare. I am amazed we managed, but we did it. 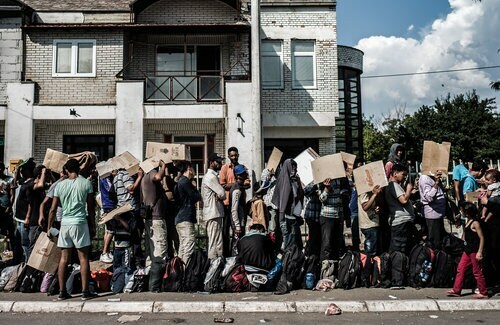 How did migrants and refugees respond to your request? It is easy to meet refugees there on the field, in places like the hotspots in Greece, and the more people you talk to, the more the chances to find someone who might want to work with you. I tried to speak to them as much as possible along the way and then I handed them the phones if they were going where I could not follow. For example when they had to deal with traffickers or when they boarded boats to cross the sea between Turkey and Greece. Once I had to separate from them, I tried to keep track of them anyway. However, it was not easy. Once they crossed into another country, the phone number they had when they left was unusable. It was tricky, but you know where they are going and you hope in luck. What kind of feedback did you get from migrants? Different people agreed to film for different reasons. One of them, Hassan, found the process of filming helpful; it gave him some sort of power over the situation. Ahmad, instead, did not need that crutch. He filmed some moments of his journey because he wanted to show his story to the world. Has this kind of work posed any ethical questions? Our job is to look at things, and show how hard things are. If I had intervened, I would have done a disservice also to other migrants. You have to draw a line. You might want to help them of course, but you need to remind yourself that what you need to do is observe. I always made this clear to the people who wanted to take part. Finally, a comment on being awarded two prizes at this year’s Prix Italia. We are all very proud of the film and happy that is getting recognized. Everyone wanted the film to be seen and to make a difference. Winning awards increases the exposure and the awareness.